At one point Bazaar started acting up. The command line tool worked just fine, but I like to use TortoiseBzr when commiting to be able to easily check all the changes I've done before the commit. 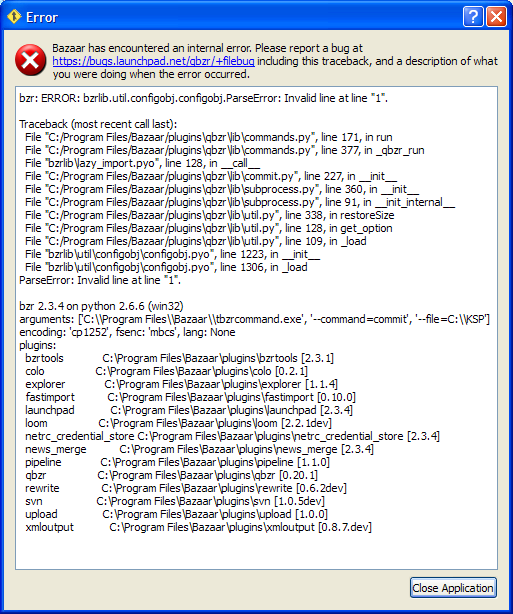 But both TortoiseBzr and Bazaar Explorer only returned an error when starting up. So I filed a bug at launchpad, and within less than an hour after I had registers at launchpad (unfortunately, you have to register to be able to submit a bug report), I got an email with a solution. 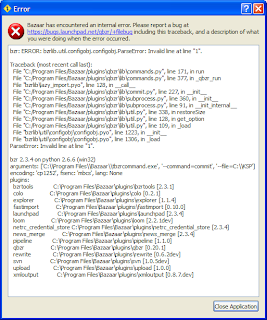 It was simply a config file (qbzr.conf) that was corrupt and all that was needed was to delete it. Great support work though!! !